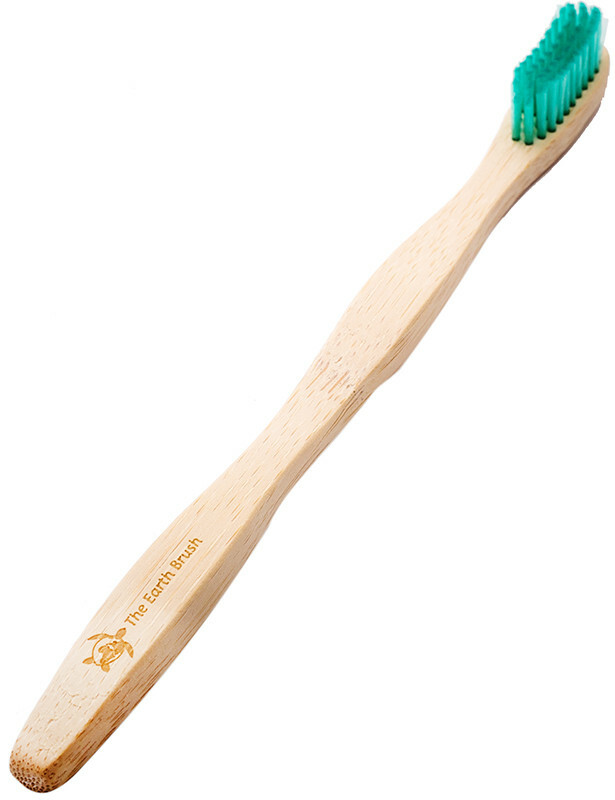 The Earth Brush’s Soft Green Adult Toothbrush gives you another reason to smile with its totally biodegradable handle. The Soft Green Adult Toothbrush is perfect for people with sensitive teeth and gums. The Green bristles also make it easy to spot which toothbrush is yours in the bathroom. Did you know? Certain bamboo types can grow up to 1 meter per day and is considered to be the fastest growing plant on Earth. Bamboo is also technically a type of grass but due to its hardness, many mistake it for a type of wood. Something to get used to, since the bamboo feels slightly strange in my mouth, but it does the job of cleaning my teeth well! Fantastic - yay to no more plastic! Love this! The bristles are nice and soft but still get the job done. I just have to get used the feeling of bamboo on my lips and mouth. But Great product! Awesome product! Value for money and they come in cool colors. I've been using an electric toothbrush for years and kinda cringe at normal toothbrushes against my pearly whites. However, this toothbrush has made me a convert! I love it. It's soft. It's comfortable to hold. It's super. The bristles lasted 3 weeks. The "pure' bamboo toothbrush is superior. Great product, works very well. Bought this for my dad and dad-in-law, both are very happy with the the product! This brush has a shape to the bristles that the others don't have. It is nice and soft without being too soft. I was a bit sceptical when this brush first arrived as I thought the head was quite big for my small mouth, however, this is not the case and the shape of the bristles is great and reaches into all the hard to reach places. the bristles of the soft brush are perfect. Great natural toothbrush, would like it to be slightly harder. Love this toothbrush. It’s soft enough for me - though it could even be a bit softer. Cleans well! The Bristles of this toothbrush is really soft, as promised. It's a great toothbrush, and I see no reason to ever return to plastic again. Great soft toothbrush. Works just as well as normal plastic toothbrushes! Love the earth friendly products! Soft bristles great. Quite big and chunky. Would've liked a smaller version. I made a decision never to buy another plastic toothbrush again and found these bamboo toothbrushes at F2N. They are excellent! Good ergonomics and they work just as well as the brushes sold by Oral-B and the like. Not to mention they are actually more affordable than most of the 'good' plastic toothbrushes out there. The best toothpaste I have ever used! Bristles are so soft that they don't irritate my sensitive gums, yet they clean very well. The bristles have not splayed at all, and the brush is easy to clean. Love that it is mostly biodegradable. Much better than using a plastic toothbrush, perfectly soft! Great brush so far! I think the bristle softness is perfect. I am used to a smaller electrical toothbrush head, so the large nylon bristles did aggravate my gums initially. As for the bamboo taste, it is distinctive, sort of like an ice lolly popsicle stick. But it is nostalgic and I like it! I'm loving my new, eco-friendly toothbrush and will only buy these in future. I like knowing that I'm not using a product that cannot be recycled. I am enjoying the bristles too. I tend to have sensitive gums and these bristles do not hurt my gums. Great product! This is a great toothbrush but when they say soft bristles they mean SOFT..ill be buying the medium next time which will probably be more preferable to me. Nice toothbrush, it's a bit too soft, I'm sure it would work well for toddlers. The soft bristles are truly soft. The chunky body needs some getting used to. It stays clean much easier. The bristles aren't to my standard of soft - they aren't soft by any commercial brand standard of 'soft', but since many people seem to prefer medium, they would probably be satisfied with it.